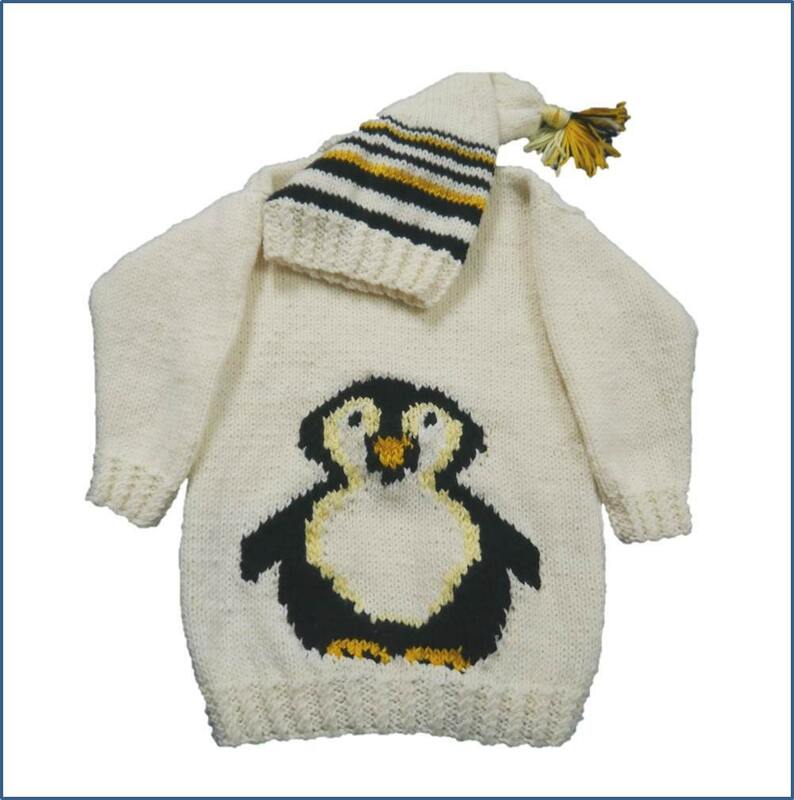 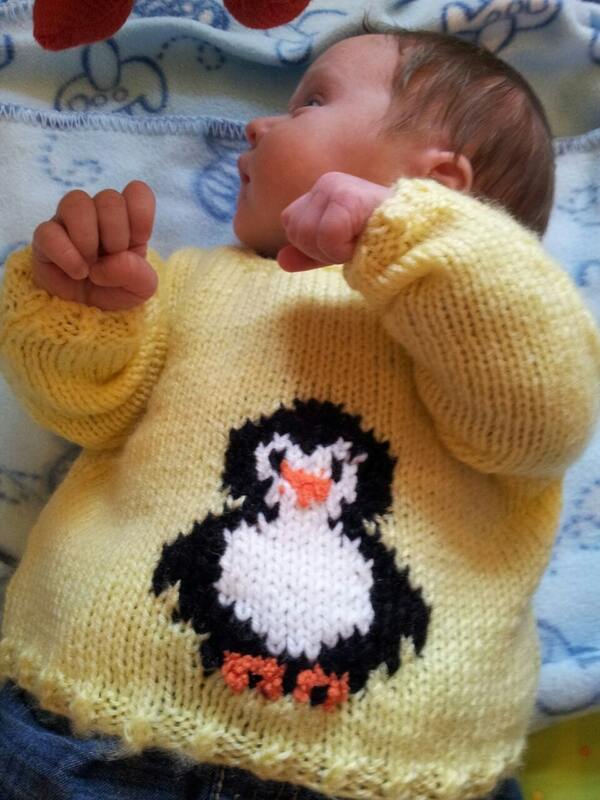 2 Penguin Sweaters and matching hats are included with this pattern. 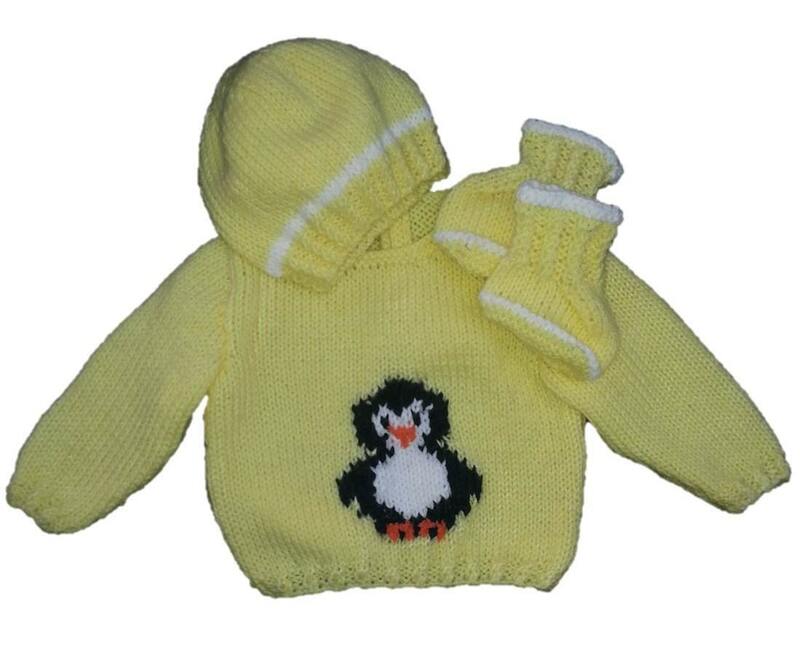 The baby sizes also have bootees to complete the outfit. 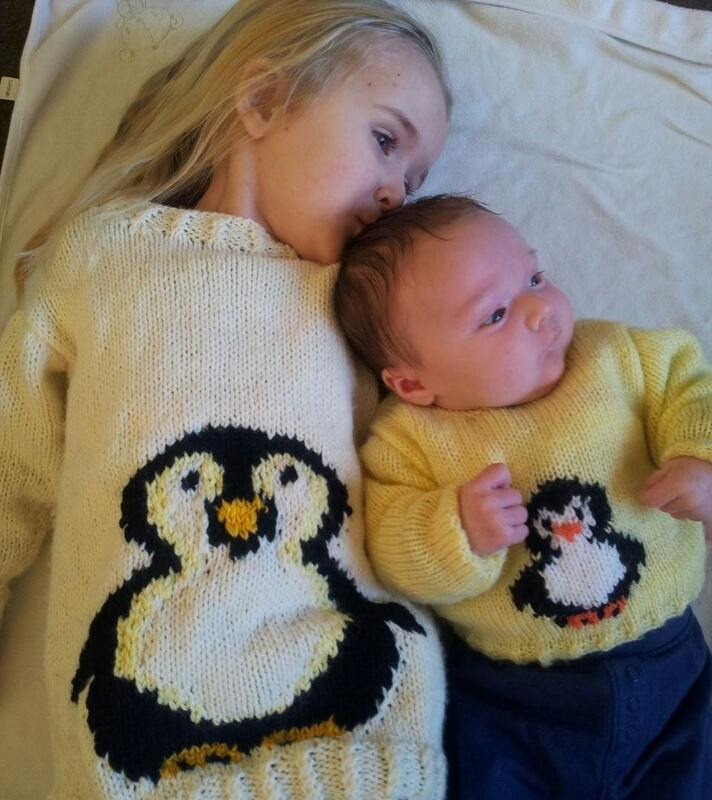 Easy and quick designs to knit. 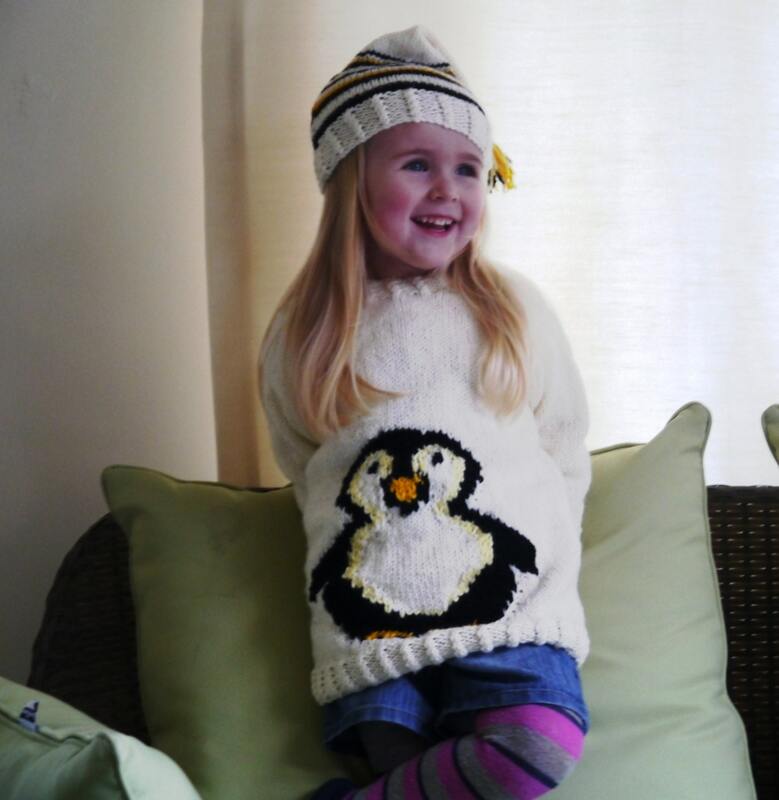 The pattern includes colour coded sizes for ages from birth to 10 years and full-page coloured intarsia charts.